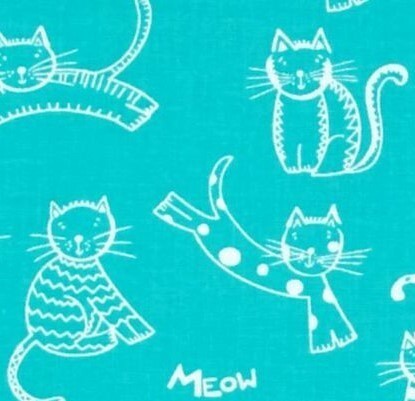 This collection includes cat fabrics in black and white and a few with a pop of red and/or turquoise. 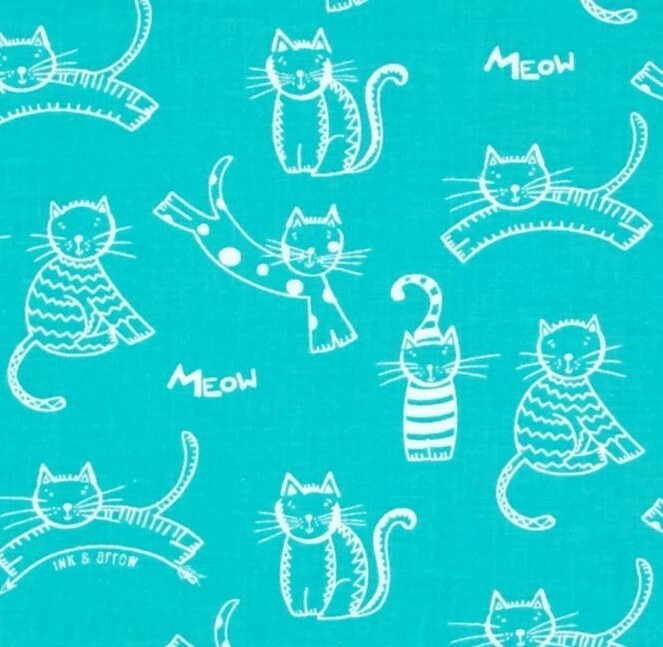 This fabric features sketched cats in white on a turquoise background. Print Size:Cats range in size from approximately 1.5" to 2.5" long/tall.